AATSEA is non-profitable organization and dedicated to a mission of long-term research, education and outreach related to the modern agricultural technology in Southeast Asia. Mission. The primary mission of AATSEA is to conduct and stimulate long-term research on the relationships between members in Southeast Asia. Operation. The ranch is managed at full production levels to collaborate for research purposes. Revenues from modern agricultural technology support research activities. This provides staff and visiting scientists a unique opportunity to visit each other both sides. Research. Research at AATSEA has provided the research programs in advanced agricultural technology and has addressed various aspects of agriculture concern in environmental friendly. Researchers include the on-site and visiting scientists among members’ laboratory and field work. 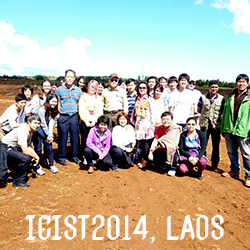 Current projects include environmental friendly research for Organic Agriculture to meet world standard. Cooperative Projects. AATSEA would appreciate to set up co—operative research laboratory among life member and honour members to do collaboration. AATSEA was performed in 9 March 2011 and officially approval on 17 April 2012. 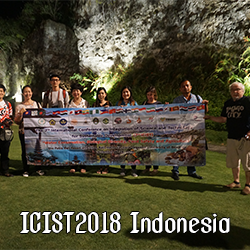 We are in a group of Scientists in Southeast Asia which leading by Associate Professor Dr. Kasem Soytong who works at Faculty of Agricultural Technology, King Mongkut’s Institute of Technology Ladkrabang (KMITL), Ladkrabang, Bangkok, Thailand. AATSEA organizes internationally recognized research journal in all aspects of Agricultural Technology and related fields. AATSEA is active in a variety of training programs for Agricultural Technology, especially Organic Agriculture and Bio-energy. AATSEA will help the members for technology transfer that will be facilitated through cooperative research programs and interactions with business local companies. >To serve as a hub for advancing agricultural technology. 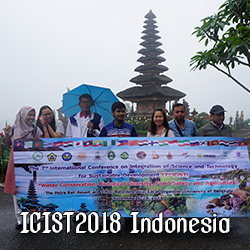 >To organize the International Journal of Agricultural Technology (IJAT) in Southeast Asia (AATSEA) which meet high quality contribution of published research paper. To build up the young scientists and researchers get experience in writing their research papers. >To be awarded the Excellent Scientists or Outstanding Researcher. >To establish vigorous ongoing possible collaborative research program. >access to facilities and equipment in co-lab among the members. >Supporting published scientific papers in agricultural technology through www.ijat-aatsea.com. >participation in National, Regional and International Seminar, Workshop, National and International Conference which will organize by AATSEA in Southeast Asia Countries. 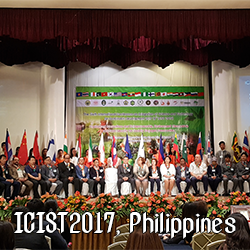 >broader base of community support with respect to the members and involvement a larger scientific community in Southeast Asia. >Requested research collaboration project that would be submitted through the AATSEA to couple with our co-lab. AATSEA will provide the new knowledge and technology and help to set up plant protection curriculum in any university upon request. AATSEA will use the own budget to run for contribution knowledge in this field of specialization with our experts and also volunteer to scarify for this opinion. We have experts on many courses as basic plant pathology, mycology, plant resistant improvement, biological control of plant disease, insect pest and weeds, safety food for phytosanitation etc.